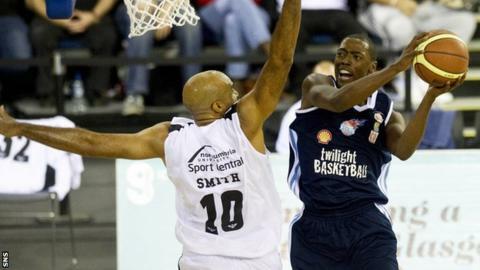 Glasgow Rocks secured a British Basketball League Cup final spot with a weekend victory over Bristol Flyers. Newcastle Eagles will stand in the Rocks' way in the final, after they beat Sheffield Sharks. Glasgow's 84-57 triumph in Sunday sealed a 161-132 aggregate victory, with Newcastle seeing off Sheffield 162-151 over two legs. JaJuan Smith led the way for the Rocks on Sunday with 19 points and 14 rebounds.